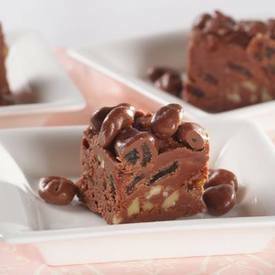 Chocolate Raisin Fudge is an absolutely fabulous new twist on fudge. Marshmallows and raisins create great tastes. This one is perfect for any occasion. How about National Raisin Day?